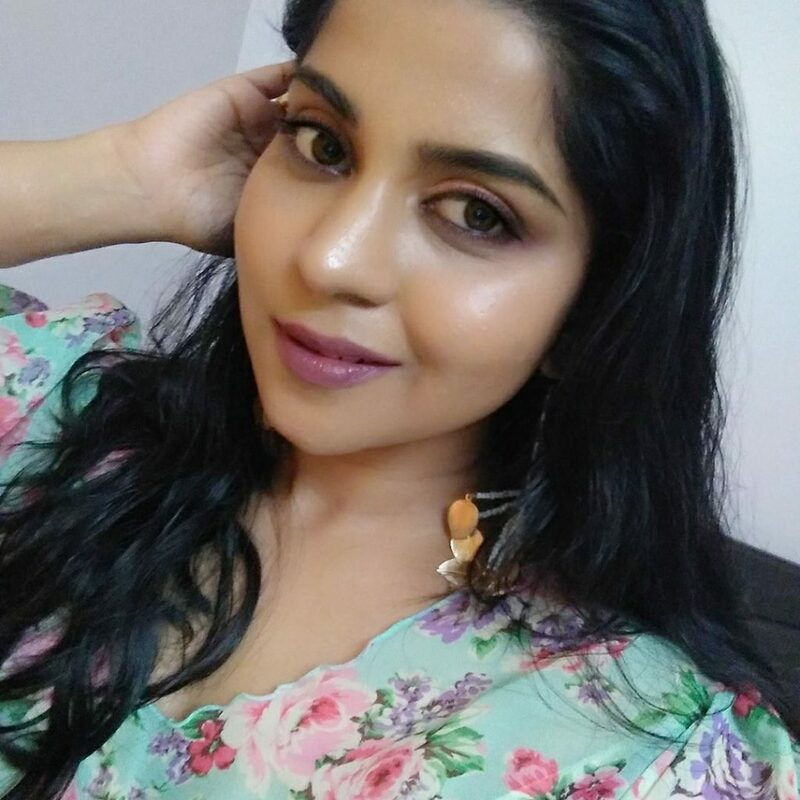 Colourpop Cosmetics is my most favorite brand at the moment. I hardly miss any of their collection. 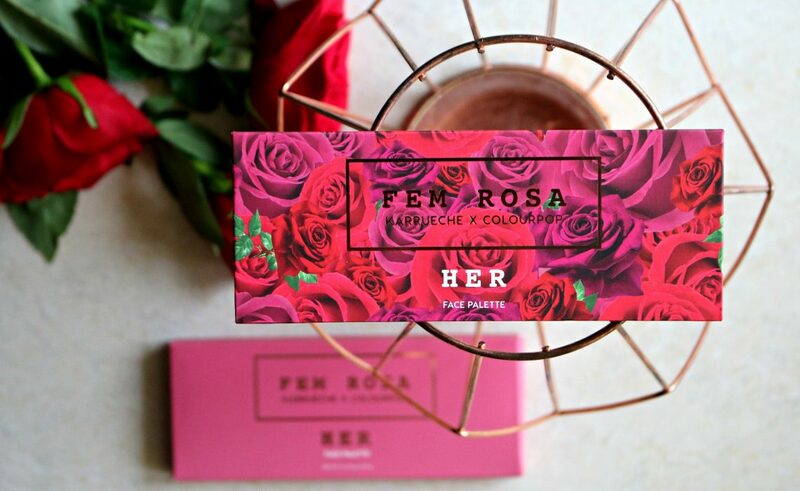 Fem Rosa – which is one of their collection that’s in collaboration with Karrueche. This collection is totally inspired by her love for roses and her love of everything being a woman. 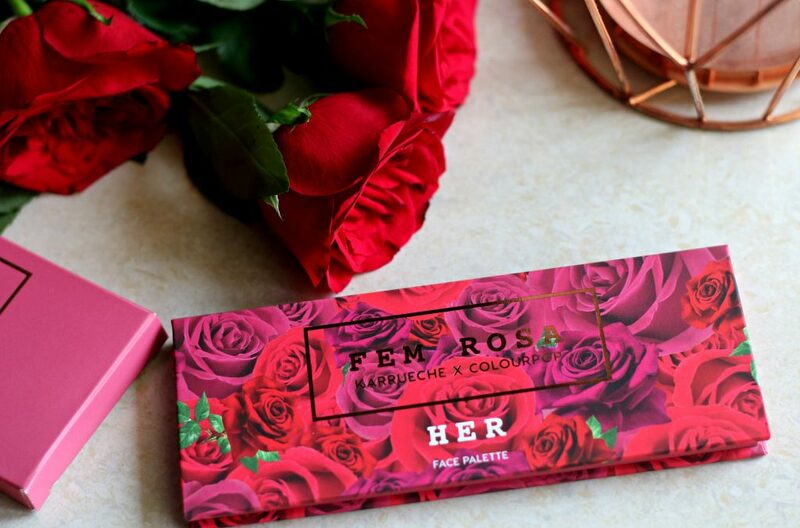 She even has a botanical book at home that she used to research different roses, which inspired every shade of this collection – That’s very interesting to know right! It was an instant love the moment I saw this collection online. 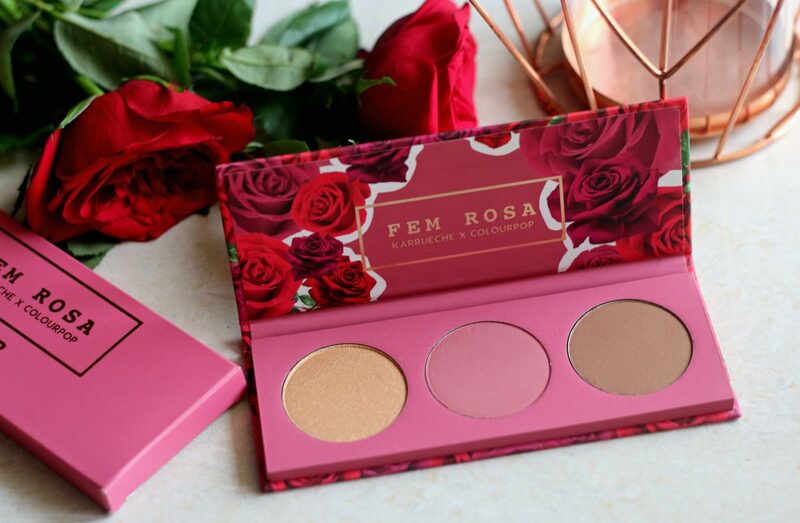 This gorgeous palette has a blush, highlighter and bronzer ; All these in a dreamy packaging for just $15 ; How cool is that ? 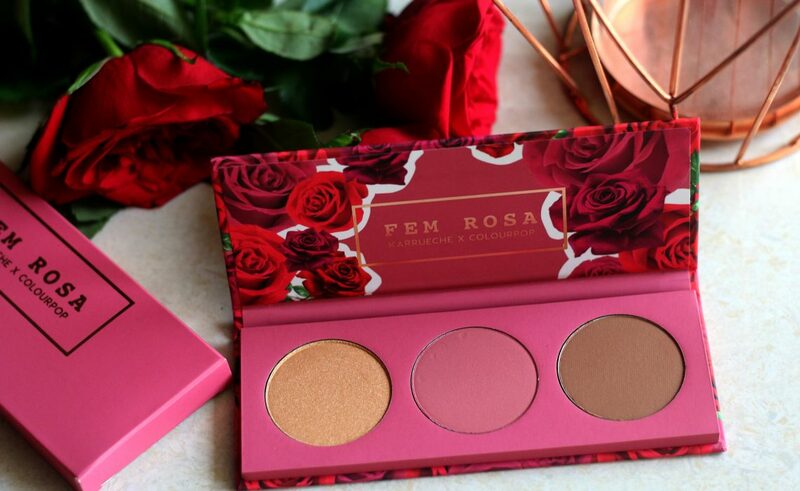 I love how well these pans are arranged in this cardboard packaging that has roses design all over. 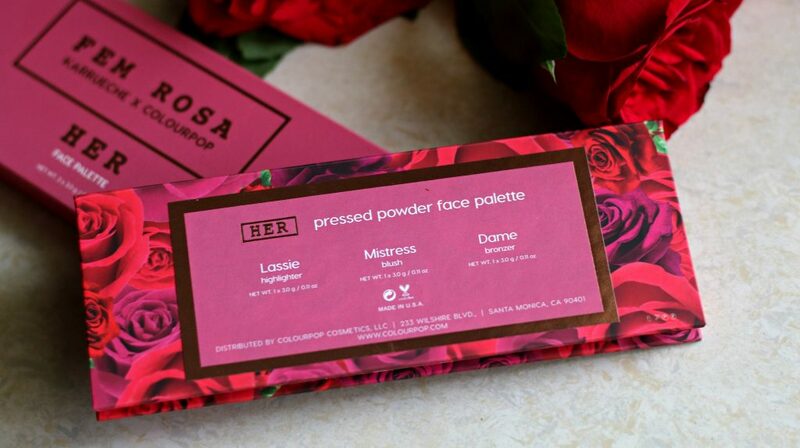 Isn’t this a perfect gift for your sweetheart or loved one ? LASSIE: ZINC STEARATE, DIMETHICONE, PTFE, CAPRYLIC/CAPRIC TRIGLYCERIDE, SYNTHETIC FLUORPHLOGOPITE, BORON NITRIDE, SILICA, HDI/TRIMETHYLOL HEXYLLACTONE CROSSPOLYMER, PHENOXYETHANOL, DIMETHICONOL, CAPRYLYL GLYCOL, ETHYLHEXYLGLYCERIN, HEXYLENE GLYCOL, IRON OXIDES (CI 77491), MICA (CI 77019), TITANIUM DIOXIDE (CI 77891). MISTRESS: TALC, BORON NITRIDE, ZINC STEARATE, POLYETHYLENE, OCTYLDODECYL STEAROYL STEARATE, DIMETHICONE, PTFE, PHENOXYETHANOL, CAPRYLYL GLYCOL, OCTOCRYLENE, ETHYLHEXYLGLYCERIN, HEXYLENE GLYCOL, IRON OXIDES (CI 77491, CI 77492, CI 77499), MICA (CI 77019), RED 7 LAKE (CI 15850), TITANIUM DIOXIDE (CI 77891). DAME: TALC, SYNTHETIC FLUORPHLOGOPITE, DIMETHICONE, BORON NITRIDE, MAGNESIUM STEARATE, SILICA, PTFE, PHENOXYETHANOL, CAPRYLYL GLYCOL, ETHYLHEXYLGLYCERIN, HEXYLENE GLYCOL, IRON OXIDES (CI 774914, CI 77492, CI 77499), MICA (CI 77019), TITANIUM DIOXIDE (CI 77891). Shade, Texture, Formula – Shades are good and suits all skintones. 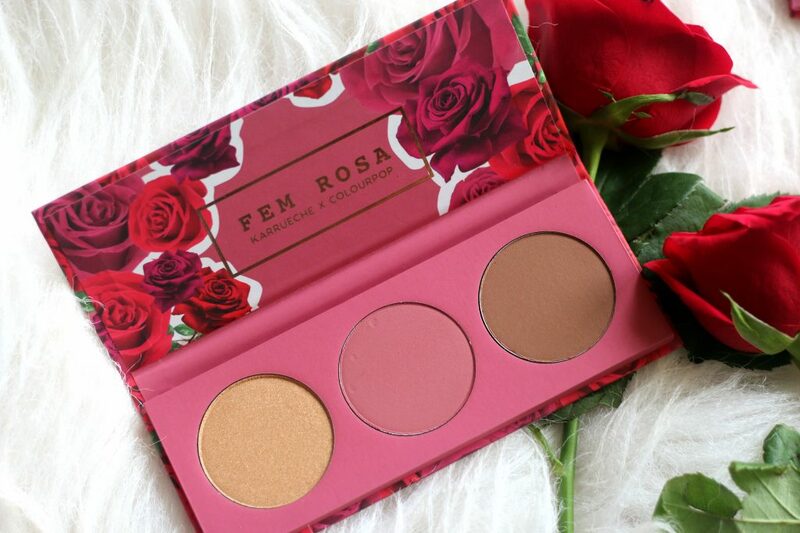 I found the texture of these to be soft and buttery and was easy to blend except for the blush which took a little more time to blend compared to bronzer. I like the formula. It never appeared chalky. Was easy to pick the color. 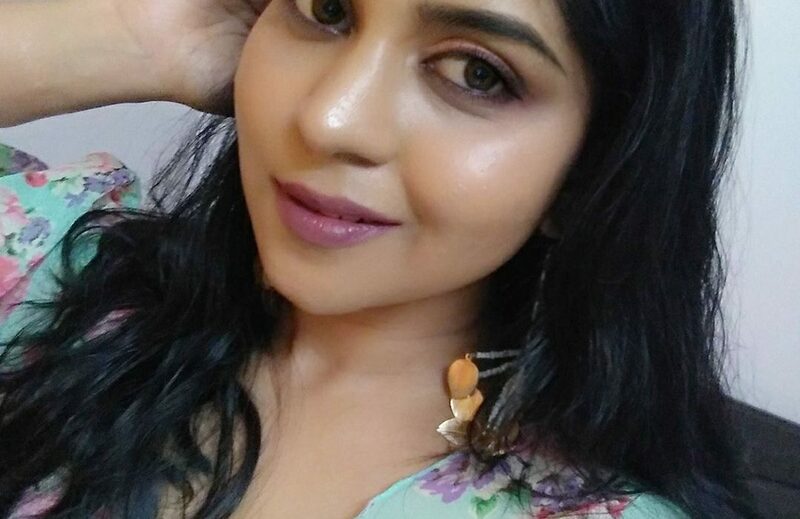 As it’s medium pigmented, It was easy to build the color as desired. I like that part. The cardboard packaging don’t have an inbuilt mirror. It was ok for me. Palette is great for travel. Especially, you get 3 essentials in one. Bronzer Shade Dame is a soft brown with warm undertones, has a matte finish. good color payoff, easily blendable. stayed on for over 7 hours on me. Pigmentation – All shades were pigmented and formula was easy to blend. 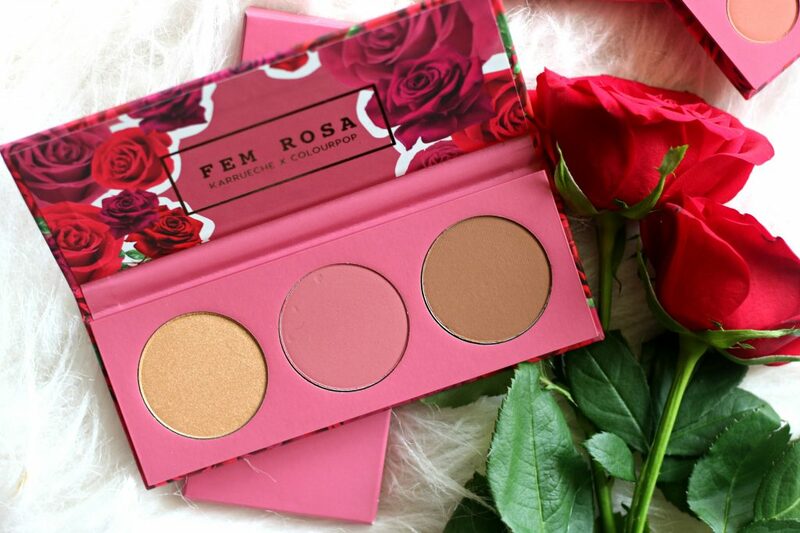 I love the highlighter so much. Please note – These swatches are light handed – single swipes. It appears very vibrant if heavy handed and with multiple swipes. 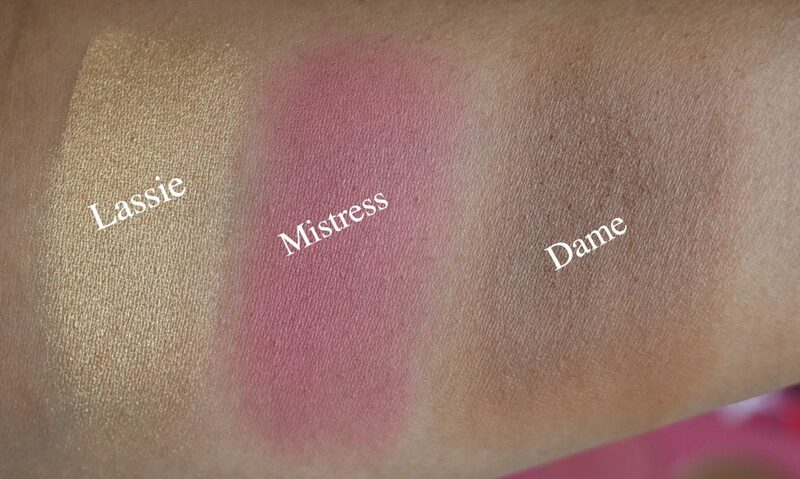 I wanted to show it’s color in a single swatch so that you know how close the color looks on you after blending. 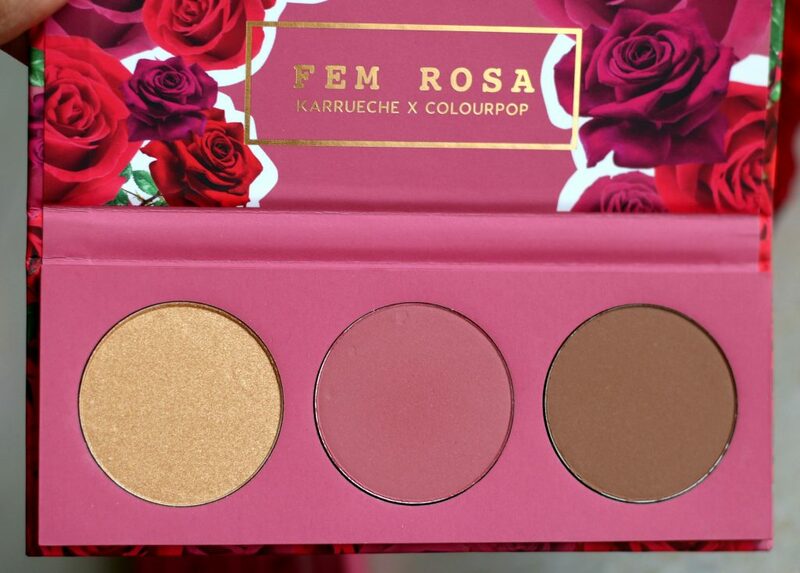 Have you tried anything from ColourPop X Karrueche Fem Rosa Collection ? 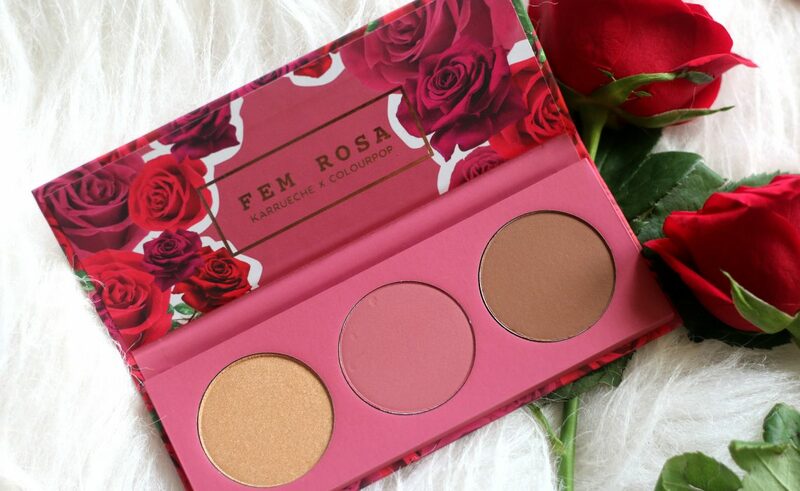 The shades are nice and lokk perfect for any complexion. Woww.. I love such colors. I am going to try it for sure. Thanks for sharing. 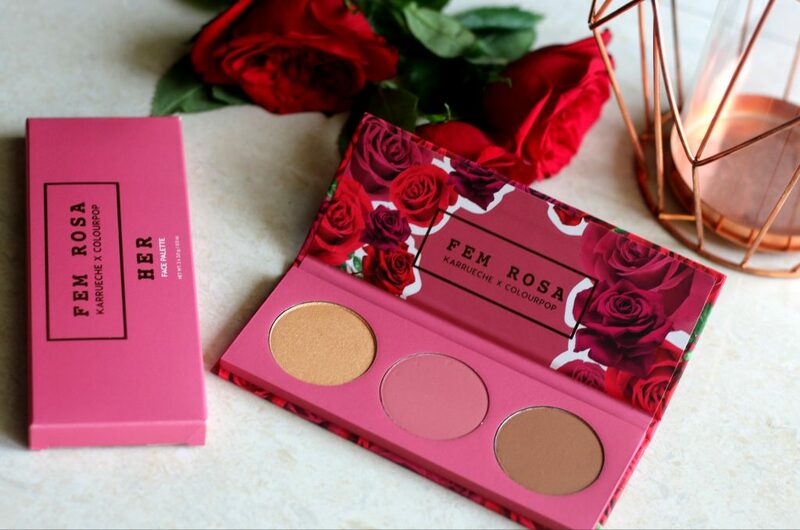 I m in love with the blush palette and the packaging. U ate shining from within. I m surely bagging this. 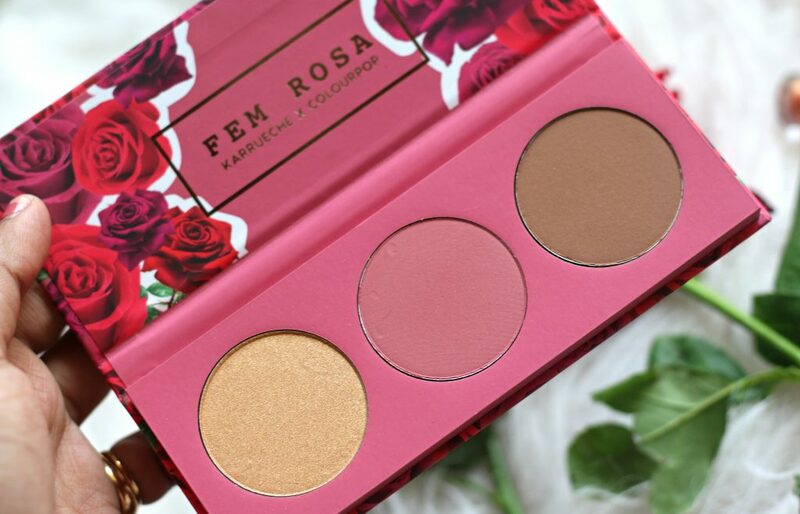 Was looking for a contour , blush and highlight palette . Looks like I found the one ! yay!! 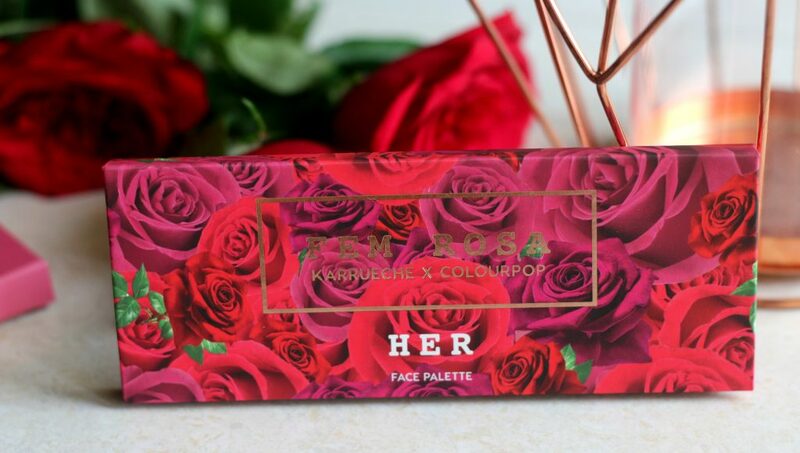 go for it girl…This face palette is really pretty and it’s amazing!